Surely one of the most stylish picture book offerings of the year, this slim tall format is as elegant as the characters it holds. 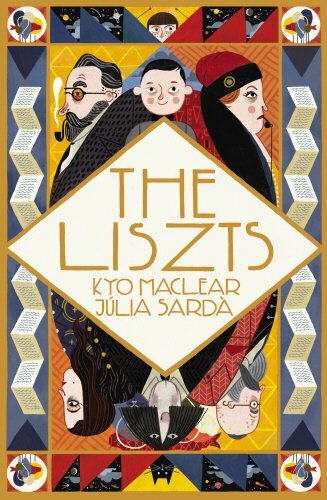 Stunning art deco-inspired illustrations depict the Liszts, a family who enjoy making lists. They make lists for all sorts of unusual things. In fact they are all so busy making lists they hardly notice that a visitor has arrived. He is most definitely not on the list, but perhaps there is something to be said for leaving room for the unexpected! A beautiful hardback production from Andersen Press makes this a perfect present for anyone with an artistic eye. Sarda’s illustrations bring to mind filmmakers like Wes Anderson and Jean Pierre Jeunet. It’s a book to pore over. Sophisticated children will love the intricacy of the images. A peculiar story about a peculiar family packaged in a book that is instantly appealing.